The Kinsley Company Blog: What is the Cost of Building Green? What is the Cost of Building Green? When building owners, architects, engineers and contractors consider “going green” on projects, the first question that comes up is “What is the cost?” Unfortunately it is complex to put an exact price on the cost of green buildings, but the cost is lower than you might think. 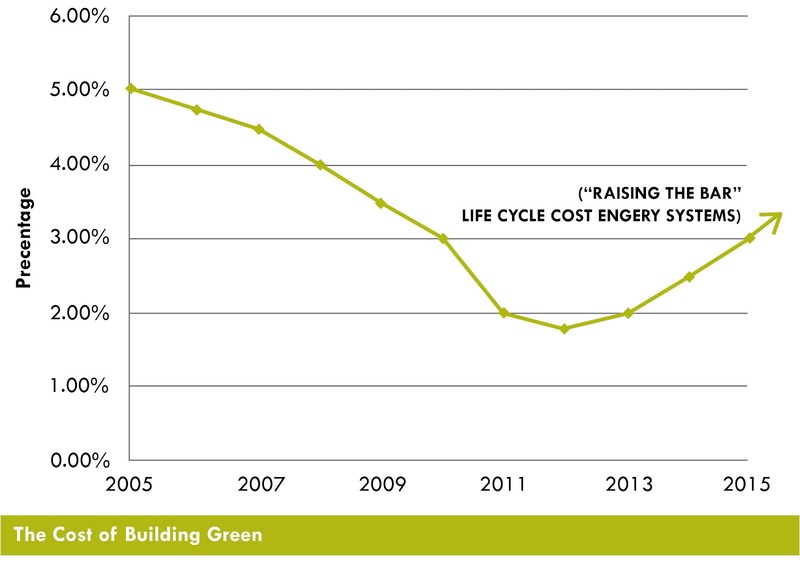 Even though the costs of building green have decreased, the following factors point to a cost increase in the coming years. 1. Of course, one factor that will drive design and construction costs upward will be the recovering economy. Additional cost of building green will have the same additional inflated costs. 2. 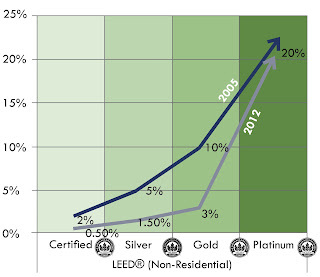 The new release of LEED 2012 will set higher standards with higher construction costs. 3. 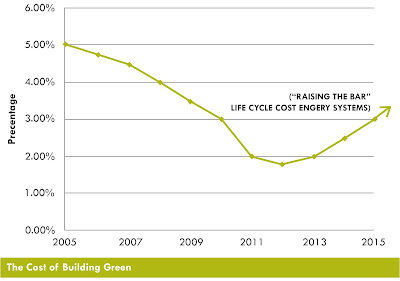 The single most important factor driving costs upward will be a result of the integrated AEC team educating our communities and building owners to invest in the future by utilizing LCC (Life Cycle Costing) energy savings from higher efficiency mechanical and electrical intelligent systems and at the same time, reducing our carbon footprint. Even though the cost of LEED may be going up, the value of green building is immeasurable. The AEC integrated team needs to “Raise the Bar” and educate the building owners and facility operators to increase the initial design and construction budget for a return of future energy savings and building performance. This is the first installment of a three-part email series on the costs of building green. Keep an eye out for parts two and three addressing future energy savings (performing Energy Modeling and Life Cycle Costing) as well as measuring building performance. Kinsley is “LEED"ing the way in the design and construction of sustainable building projects. To date, we have constructed a total of 16 projects currently seeking or that have obtained the LEED® designations (Certified, Silver, Gold and up to the highest level of Platinum) totaling over 2,500,000 SF and over $305 million.